StarCraft’s visual style was once very different, and if not for a spectacular demo for a horrible game called Dominion: Storm Over Gift 3, we might still remember it as purple Warcraft. In a great piece over at The Ringer, journalist Ben Lindbergh details the making of StarCraft, which came out 20 years ago. The article is full of great anecdotes—go read it all!—but here’s one of my favorites. Then, as former vice president of research and development Patrick Wyatt recalls, they saw a brilliant, gorgeous demo for Dominion: Storm Over Gift 3, a real-time strategy game by Ion Storm (the studio founded by id Software’s John Romero and Tom Hall). 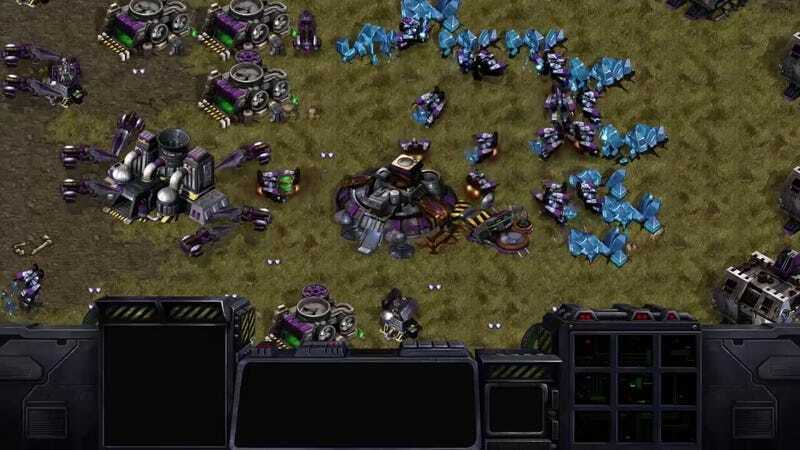 Footage of the game blew them away, and when Wyatt and crew got back to the office, they decided to overhaul StarCraft, aping the isometric, pseudo-3D perspective they’d seen in Dominion. As it turned out, however, Dominion’s demo was a lot like many of the other high-octane videos we’ve seen at E3 over the years: It was totally fake. Blizzard hired a cinematic artist who had been on the Dominion project, and told Wyatt’s team that they’d made a pre-rendered video just for E3. The game turned out to be horrible. Yet its effects on Blizzard would last forever. “They tricked us into making the game that they were going to make,” Wyatt told Lindbergh. So Dominion: Storm Over Gift 3 at least did one thing right: It made StarCraft what it is today. Go read the entire Ringer piece for a fascinating look at how StarCraft became a global sensation.